stories-beyond.com | Restorative and transformative narratives of communities that inspire change. Beyond the single story. Through non-fiction and fiction storytelling, Stories Beyond envisions to tell restorative and transformative narratives of people and communities. Beyond the single story. 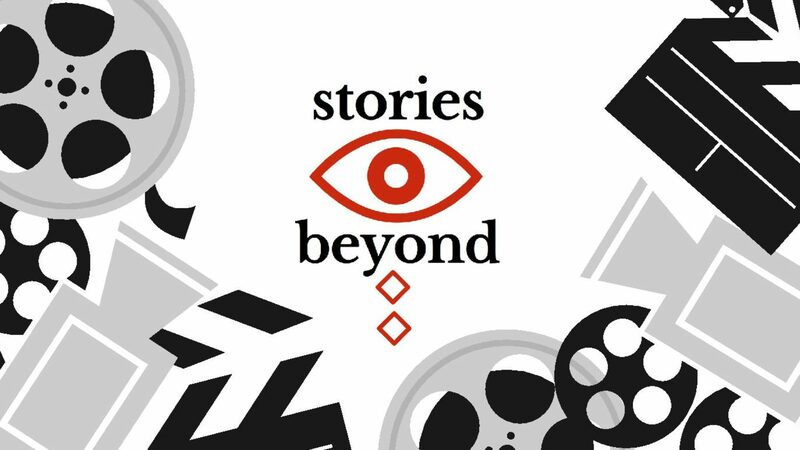 Stories Beyond is devoted to original and untold narratives delivered in the most appropriate format, exploring different media platforms and deliveries–from written text to documentary films, photo essays, interactive documentaries, audio stories, and other cross-media/intermedia products. We are committed to put out stories that are new and diverse. This long form piece was published on www.mindanews.com. 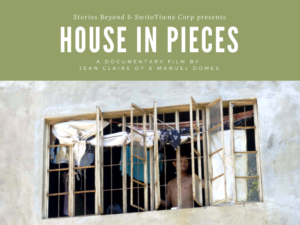 Written by Stories Beyond’s Jean Claire Dy after the first part of shooting House in Pieces in Iligan City. Read the entire article HERE. Using the life story of Norma Limoso “Dipearli”, a former teacher from Iloilo who is now in her 70s, as its backbone, A Memory of Empire unravels the complex and complicated history of the Mindanao conflict through a personal narrative. In 1960, Norma became part of the state-sponsored resettlement from Panay towards Mindanao, the then Muslim-dominated “land of promise” in the Southern Philippines. 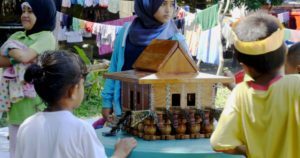 She and her companions settled in the town Columbio in the former Empire Province of Cotabato, where traditional Muslim clans ruled over social and political life. At 23, Ms. Limoso married Datu “Boy” Dilangalen, a Muslim royal leader, without the approval of her Christian relatives in a Muslim rite deep in the mountains. Her husband would later on become influential in the founding of the Moro National Liberation Front, the first Muslim armed group in open rebellion against the Philippine government. The influx of Christian settlers, like Norma Limoso, was one of the key reasons for the rebels to take up arms. 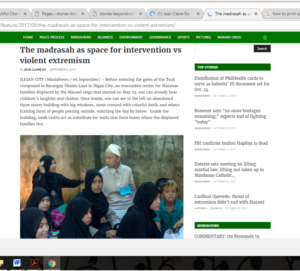 Ilonggos from Panay in particular have been associated with landgrabbing and violence perpetrated against Muslims by vigilante groups such as the ilaga. At the outbreak of the war, believing her husband dead after an encounter, Norma gave birth to her first daughter back in her hometown Iloilo, where she later re-married. Years after, a knock on her door brought the Memory of Empire back into her life. The war in Marawi, Philippines, forced hundreds of thousands of people to flee from the destruction. After the war, survivors try to to piece back their lives as they face the reality of loss and deformation of home and the long road to reclaiming it. Ligaya, a filmmaker, stays with her uncle Primo in Iloilo, to finish a documentary film about her roots. Motivated by the need to understand why her family in Cotabato resists her plan to marry her Muslim boyfriend Malik, Ligaya is determined to find answers from her uncle. Malik is an orphan whose parents were killed in a fire during one of the massacres perpetrated by the Christian militia known as the ilaga during the war in the 1970s in Central Mindanao. Ligaya seeks to find answers from her uncle about his past life in Mindanao during the tumultuous 1970s. Armed with her camera, she doggedly observes her uncle doing his rituals, practicing arnis martial art movements, persistently pushing him to answer the questions about the past. Primo, on the other hand, resists Ligaya’s questions. 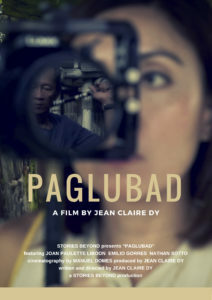 When finally Primo agrees to a video recorded interview, Ligaya is faced with the weight of the wartime secret she unwittingly unravels. Pagrara Sang Patipuron follows a group of indigenous Aeta women weaving artists in Nagpana, a sitio up in the mountains of Barotac Viejo, Iloilo. 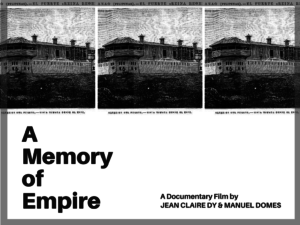 The film explores their artistic processes and products, reflecting negotiations between tradition and modernity. The Nagpana community is home to weaving artists that traditionally make crafts (purses and bags) that answer to a saturated market of woven crafts. This circle of women weaving artists are going beyond the products the Aeta are known for, by weaving jewelry with designs inspired by their environment and the people they live with. For these women, to weave from the center, to weave a circle, is to weave a life confronting realities of lack and insecurities brought about by poverty. With the help of two young artist entrepreneurs in the community, the women were empowered to explore their artistic imagination and extend the limits of their design process in the hope of transcending their present realities. The Aeta are considered the first inhabitants of the Philippine archipelago, but they are also one of the most marginalized indigenous peoples in the country. Nominated in the documentary category of the 2017 Sinag Maynila Film Festival. “The media has a profound impact on the way we see the world, how we interpret news events, and the way we respond to these events. This is especially true in the wake of natural disasters, shootings, bombings, and other tragedies. Stories Beyond believes that we need restorative narratives to mobilize people and communities in ways that traditional “IF IT BLEEDS, IT LEADS” news stories can’t. There must be better ways to move people rather than incite anger, hate, frustration, and most of all, fear. Meet the storytellers who are working to make that happen. Founder of Stories Beyond, Jean Claire Dy is a third-generation Filipino-Chinese media artist and educator. She holds a Master of Arts in Media Studies and Film degree from the New School University in New York City, which she completed under a fellowship from the International Ford Foundation Fellowships Program and a Department Merit Scholarship from the New School Media Studies Program. Claire headed MindaNews TV, the now defunct convergence media component of MindaNews where she also worked as a correspondent and travel editor. 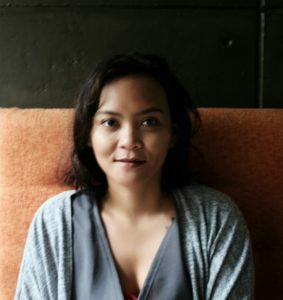 In the past, Claire has taught in the Creative Writing and Media Arts programs of the University of the Philippines Mindanao and recently was a Visiting Lecturer at the Convergent Media Lab of the Cheung Kong School of Journalism and Communications in the People’s Republic of China. Her short narrative film Paglubad was recently screened in the Sharjah Film Platform in 2019. 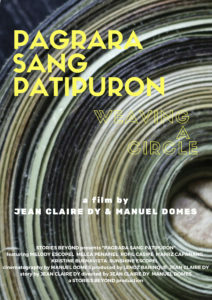 Also, Pagrara Sang Patipuron, a short documentary she directed with co-director Manuel Domes, was nominated in the 2017 Sinag Maynila Film Festival for Best Documentary. 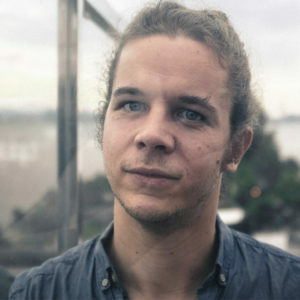 Manuel Domes is a filmmaker from Germany, standing on a second leg in the Philippines. Before embarking fully on his second career as a documentary filmmaker in 2017, Manuel has worked on conflict transformation projects in Mindanao, Philippines for different international organizations. With German NGO forumZFD, he produced a collective film platform that supported dialogue between Mindanao and the National Capital Region through films. As a filmmaker, Manuel is interested in the intersections of conflict, identity, and migration. As a consultant, he helps NGOs to use film in their advocacies and monitoring. Manuel received a MA in International Relations from Free University Berlin and a BA in Political Science from University of Bremen. Manuel also completed a professional certification as peace and conflict consultant, a diploma in Photojournalism from Ateneo de Manila University, and was enrolled in the MA in Media Studies (Film) at University of the Philippines. Lendz Barinque is a filmmaker and producer who has helped produce several feature films and documentaries distributed nationwide and screened in international film festivals. 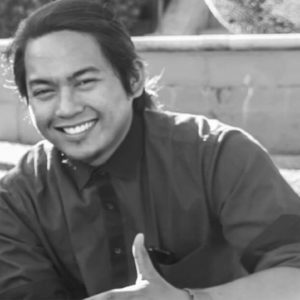 He received a Diploma in Digital Filmmaking at the International Academy for Film and Television before he set out to pursuing a Bachelors degree in Creative Writing at Silliman University. Marius Angelo Monsanto is a graphics designer and animator based in Brisbane, Australia. 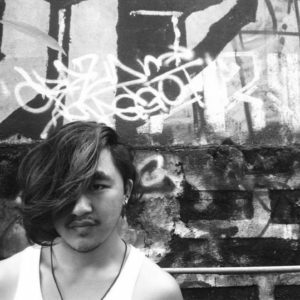 Born and raised in Davao City, Philippines, Marius holds a Bachelor of Arts degree in Creative Writing from the University of the Philippines Mindanao. He is also a published writer of poetry and creative nonfiction. Currently, he is pursuing an Associate Degree in Design (Graphic Design) at the SAE Creative Media Institute in Brisbane. Roan Ng is a professional actress, a storyteller, and an advocate for veganism and compassionate choices . She has acted in several short films, and feature-length films screened in the Philippines and in international film festivals. She currently also hosts events organized in the country. On her free time, she writes poetry and prose.